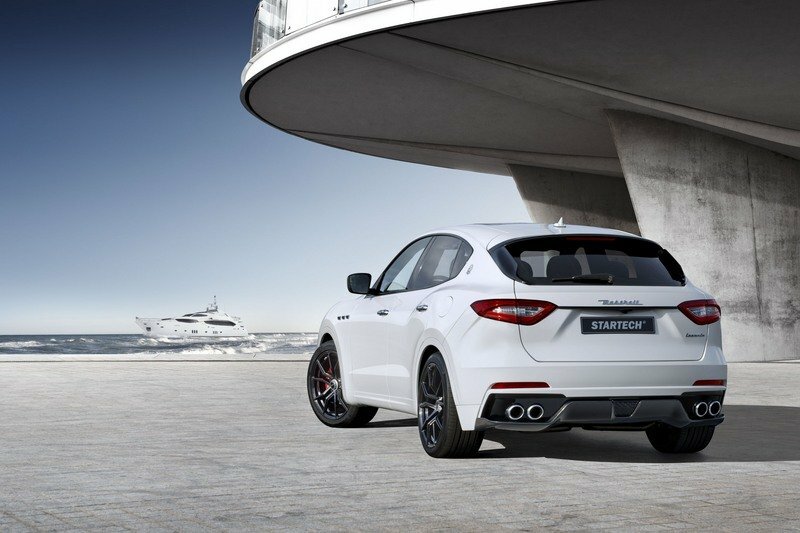 How would you like splashes of aggression on your Maserati Levante? There’s a lot to be said for a tuner that isn’t afraid to hit the ball all over the field. Mansory reputation has been grounded on that, and it’s easy to see why when you look at the exterior upgrades it created for the Levante. Near or far, the sight of this Mansory-tuned Levante is evident. Whether it’s the orange paint color of the SUV’s body to the plethora of new aero components installed into it, there’s a lot about this program that grabs your attention. Take the front section for example. 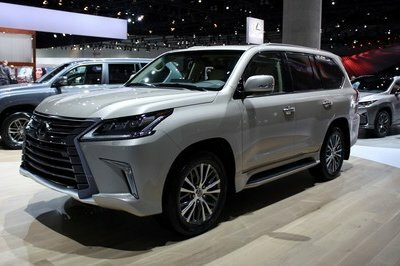 The addition of a front lip with side flaps and LED daytime running lights not only adds a more aggressive look to the SUV, but there are also improved functions that come with it. 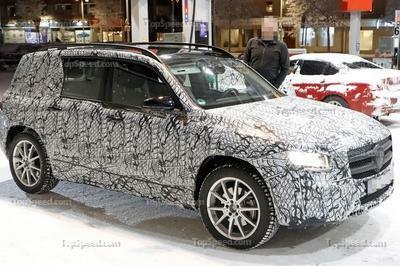 The front splitter has also been modified and if you look a little closely, you’ll see that the SUV’s front grille, specifically the vertical bars, received a carbon fiber treatment of its own, just like the new side mirror caps. And since we’re talking about enhancements, the overall width of the Levante has also been extended, thanks in large part to the inclusion of wheelhouse expansions and door attachments to the program. 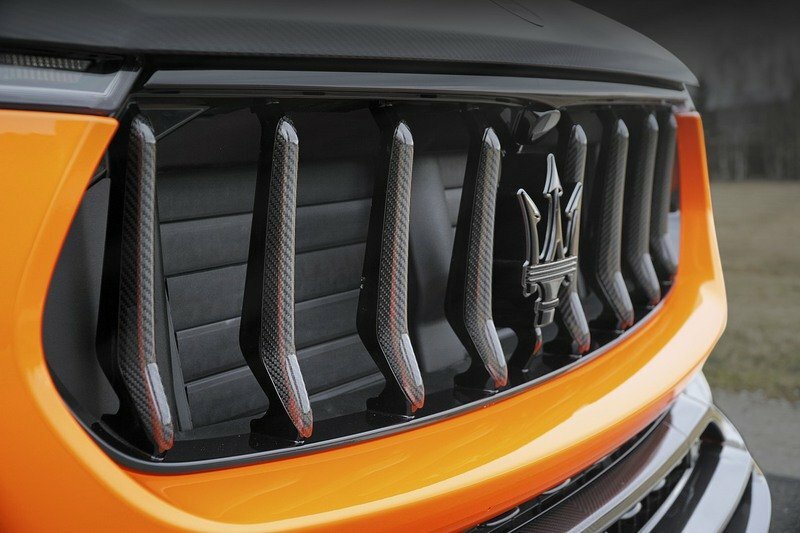 At the back, the new physical makeup of the diffuser not only has a lot more personality than the stock version, but in the true tenets of Mansory’s “form meets function” philosophy, said diffuser also installed to integrate the SUV’s quad tailpipes. Completing the exterior upgrades is a new set of 22-inch wheels that the tuner is offering in two distinct color variants – Diamond Black and Diamond Silver – and can be wrapped in ultra high-performance tires measuring 265/35 in the front and 295/30 at the rear. Conveniently enough, another tuner presented an aerodynamic body kit for the Maserati Levante at the 2017 Geneva Motor Show. That tuner is Startech and just like Mansory, the big focus of its exterior upgrade program revolves around a kit that includes a front spoiler, a rear bumper attachment, a rear diffuser, and a pair of C-blades to aid the roof spoiler. 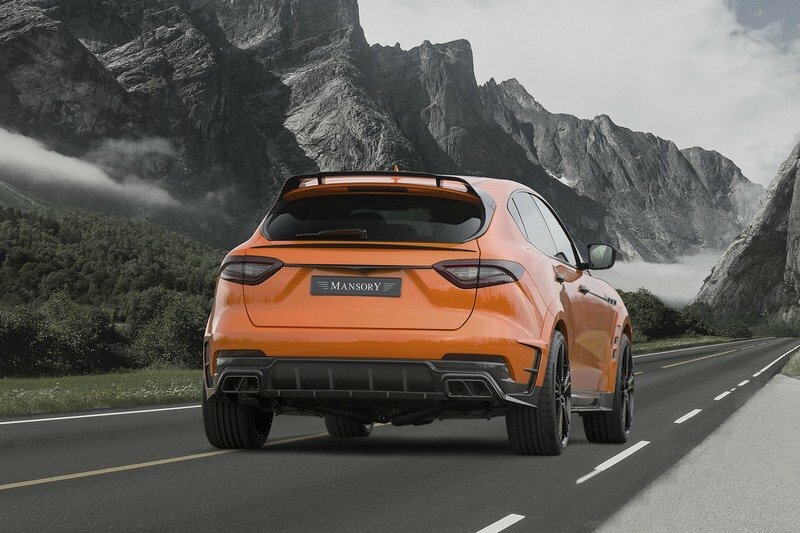 Ok, it’s not as extensive of a kit as the one presented by Mansory, but the components have their functions and the Brabus-owned tuner does the SUV right by adding these pieces to improve the Levante’s overall handling and drivability. Oh, and Startech also has a set of its own wheels, which in this case is made up of 21-inch, five-spoke Monostar M wheels wrapped in 265/40 ZR21 tires in the front and 295/35R 21 tires at the back. 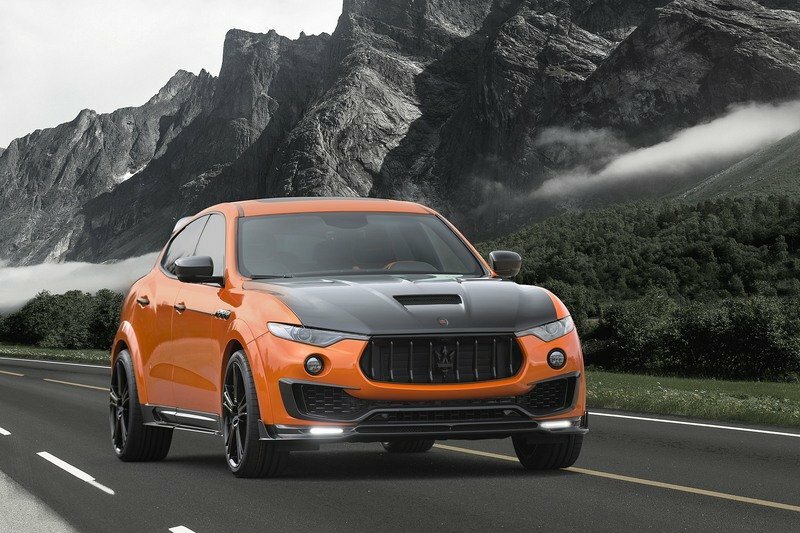 There is a world where Maserati Levante owners aren’t too keen on going the aftermarket route to get some extra options for their SUVs. 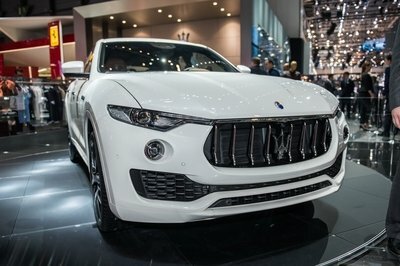 That’s where Maserati comes into the picture, and to its credit, it has a long list of packages available for the SUV. 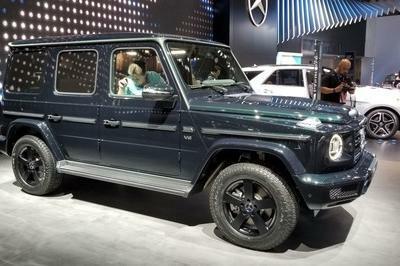 Two that immediately come to mind are the Sport Metallic Package and the Sport Dark Package. These two add-on packs come with a Sport rear spoiler, lower body moldings, and a choice of wheels and brake calipers. An Easy Access Package is also available, and as the name so eloquently suggests, it features a trailer tow bar and a kick sensor. Interior upgrades are always tricky because they’re the part of the car that owners spend most of their time in. As such, tuners are always wary of the kind of offerings they present to customers, largely because they want to at least have something that these customers would be interested in. Then there’s the case of Mansory, who is known for its derring-do approach in dressing up the cars it works on. The good news with that kind of rationale is that the tuner has a wide range of interior upgrade offerings for customers. The bad news is that customers who are themselves feeling a little frisky can get a little overboard with the choices, increasing the likelihood of messing up the SUV’s interior entirely. With that in mind, see for yourself what Mansory did with the Levante. There’s a lot of orange-colored carbon applications inside, which makes sense for continuities sake but really isn’t for everybody. There’s also a choice of fine upholstery, ranging from leather-covered seats, Alcantara-wrapped surfaces, or at least in this case, loads and loads of carbon fiber. 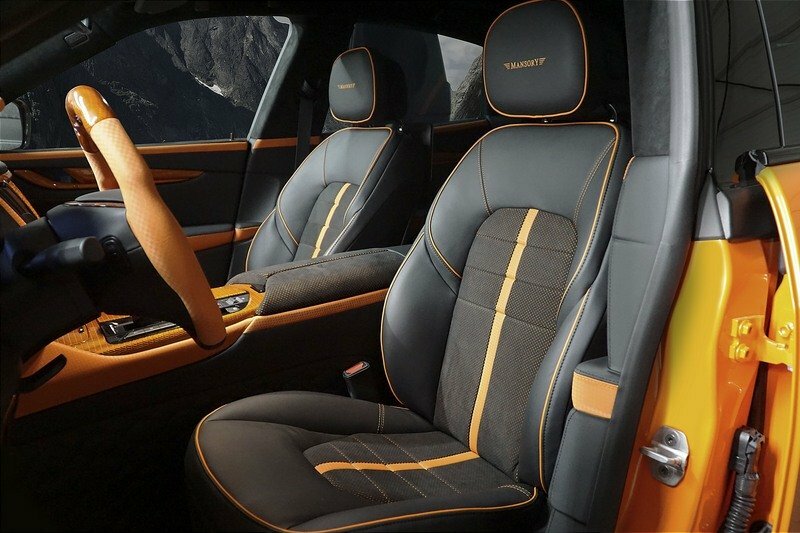 Essentially, Mansory’s interior upgrades aren’t for everybody and the Levante’s cabin is a good example of that. 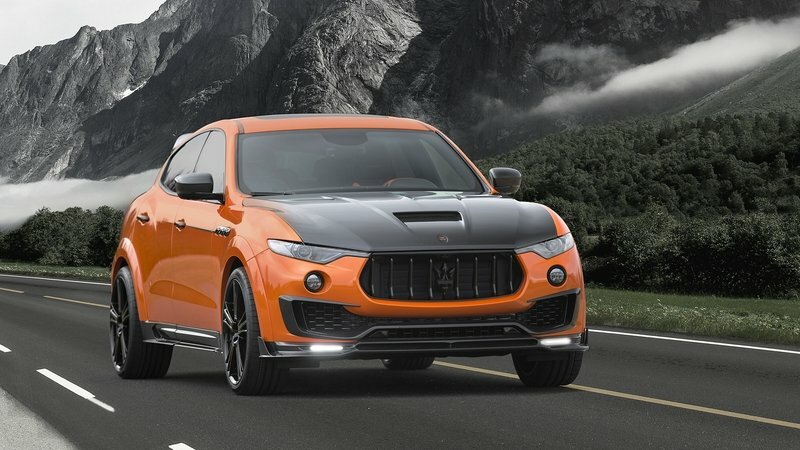 But if a customer plays his cards right and asks for a distinct upgrade list from the tuner’s craftsmen, there’s a good chance that the cabin of an SUV like the Levante would be dressed up to fit into the car’s identity. Otherwise, well, we know what Mansory’s capable of in situations where customers give it free reign to crazy on the cabin. tailor-made carbon elements for the dashboard, center console and door panels, wood trim sets, and the usual array of premium leather and fine Alcantara, there is no lack of choices and options for customers. The tuner even says that it has a variety of colors, grains, and surface finishes, available for the Levant’s cabin, ensuring that there are enough bespoke elements to warrant some interest. Unfortunately, this part of Startech’s program for the Levante is still in development, so there is a little bit of unease that comes with not knowing where the upgrade menu will be made available. 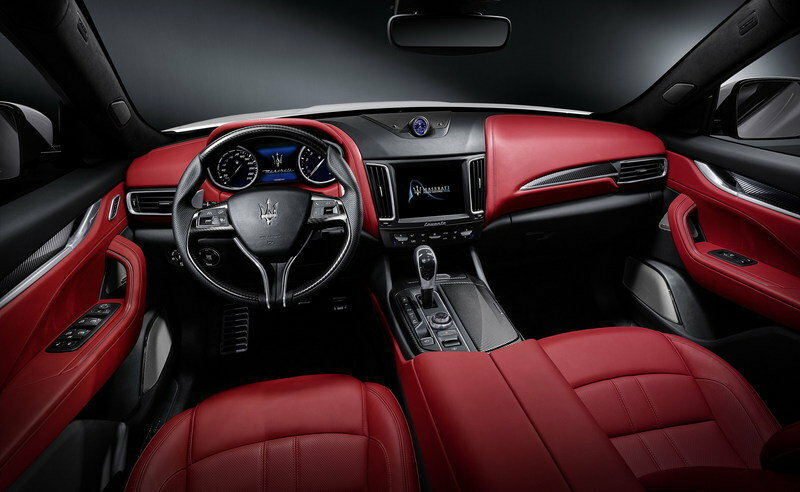 There is a legitimate train of thought that suggests that owners of the Levante are better off getting their interior upgrades from Maserati itself. While that may come as a bane to aftermarket tuners like Mansory and Startech, there is a parcel of truth in there too. Take the aforementioned Sport Metallic and Sport Dark packages for example. Levante owners who avail of these options stand to get 12-way seats, metallic-finished skid plates, brushed stainless steel sports pedals, leather trim, and a sport steering wheel, among other nice knick knacks. And if it’s luxury that a Levante owner wants, well, there’s the Luxury Zegna Package. 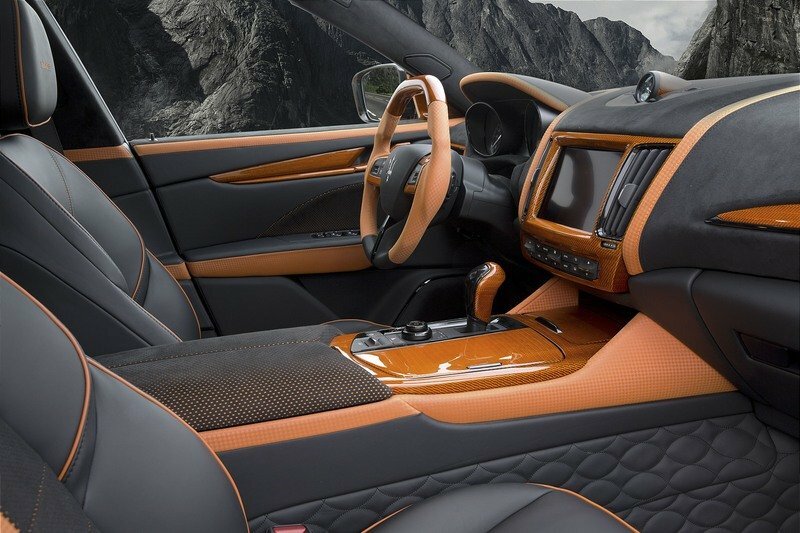 Apart from its buccaneering ways with its exterior and interior upgrades, Mansory has developed a reputation for some pretty mental engine upgrade programs. Remember the tear-jerking Lamborghini Aventador Carbonado GT from 2014 that produced 1,600 horsepower? While that kit may have been an exception rather than a norm, it still showed the full potential of Mansory’s tuning prowess. This program for the Maserati Levante, however, is nowhere near that. Instead of going to town on the SUV’s 3.0-liter twin-turbo V-6 engine by slapping bigger turbochargers and larger cylinder heads, the tuner opted for a more conservative and, shall I say, technical approach. As such, the modifications to the V-6 largely revolve around a new sports air filter, a new sports silencer, and a software upgrade on the car’s engine control unit. These modifications obviously aren’t capable of adding 900 horsepower like what the tuner did to the Aventador Carbondao GT. But if you’re the type who prefers power improvements no matter the amount, Mansory was able to tack on an extra 35 ponies to the Levante’s engine, bringing the total output up to 465 horsepower. No torque numbers were mentioned, but it is reasonable to expect gains in the neighborhood of 30 to 40 pound-feet of twist so doing the math on that puts the SUV’s torque figures up in the vicinity of 460 pound-feet of torque. They’re not mind-blowing by any means, but the increase in output should still be good enough to get the SUV to 60 mph from an idle position in about five seconds to go with a top speed of about 167 mph. That represents an improvement of 0.2 seconds in the 0-to-60 mph time and about an extra three miles per hour in the top speed category. 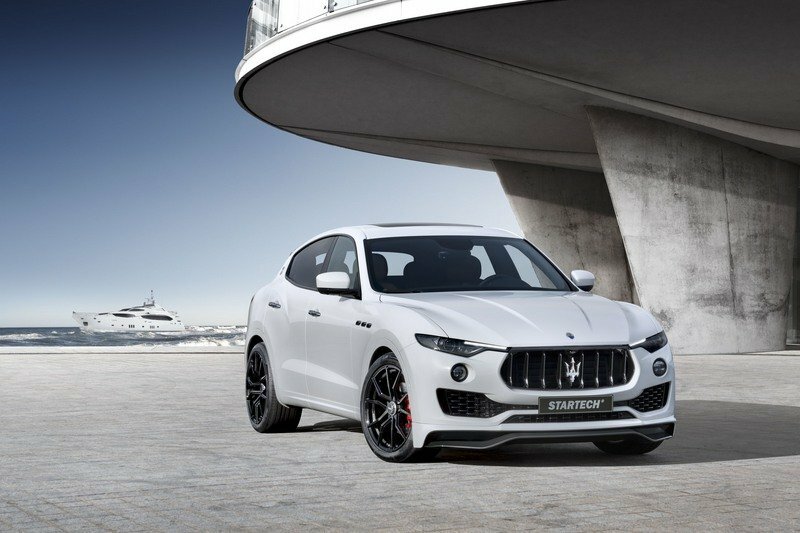 Once more, we turn our attention towards Startech even though it has yet to reveal its engine upgrade program for the Maserati Levante. 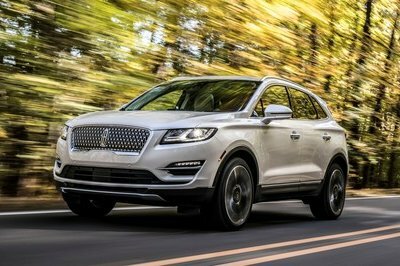 The good news is that there is one coming, or at least two since Startech itself has given its word that programs will be available for the SUV’s twin-turbo V-6 engine and the less powerful six-cylinder turbo diesel engine. Those upgrades are worth looking out for, but in the meantime, we can at least assume that Startech will have something that results in more power for the SUV. I previously thought that the tuner could get at least 500 horsepower out of that V-6 engine and after seeing what Mansory was able to do with the Levante, I feel more confident that Startech will be able to eclipse that. Pricing figures have not yet been revealed and for what it’s worth, Mansory has largely kept the price of its programs close to is sleeves. The best way to go about it then is to contact the tuner directly, at which point representatives will be more than happy to break down the pricing figures of each available piece of the whole program. We don’t have a lot of programs available for the Levante just yet so in lieu of mentioning Startech’s program for the SUV again, and we’re switching gears and putting the Jaguar F-Pace by Lumma Design in the spotlight. It’s not the same SUV, but it is two SUVs competing in the same segment, which is just as good of a comparison, especially for F-Pace owners. And as far as this program from Lumma Design is concerned, it’s also a good barometer on what we can at least expect from future Maserati Levante programs, especially when you consider that Lumma was able to generate 480 horsepower out of the Jag’s own V-6 engine. Don’t look now but that output is just a shade higher than what Mansory was able to get out of the Levante and should also be in the ballpark of what we believe Startech is going to achieve with its engine upgrade program for the SUV. When you think of Mansory, you think of a tuner that’s considered as one of the best in the business. It certainly has its share of flaws, but for the most part, the tuner’s past works speak to the kind of quality it can bring to the table. This program for the Maserati Levante follows in that template, even though there are some items about it that we’d like to have been better. But personally, I’m not complaining because this is what we can expect from Mansory and to its credit, it delivered on that regard. The aerodynamic wide body kit is aggressive. The interior upgrades are, well, provocative, for better or worse. And there’s an engine upgrade, even if I would’ve liked to have seen more power out of it.